Ah, good old Dad. Whether he’s our biological dad, our step-dad or foster dad, or the uncle or friend who stepped in while dad was out of the picture, he’s the one who teaches you to wrestle, to ride a bike, and for boys he’s the one who shows you how to shave for the first time. For the active dad, it’s hard to go past a fitness tracker. Good options include the Fitbit Charge HR Activity Tracker ($199 from Rebel Sport), the Pebble 2 Smartwatch + Heart Rate Tracker ($130 from Pebble with free shipping worldwide), or the Apple Watch (starting from $647 from Harvey Norman). Check out Canstar Blue for a guide to fitness tracker features here, and a review of the different Fitbit models compared here. One gift that is great for both the adventurous dad and the techie dad is a GoPro. Try him out with the Hero Session Action Video Camera ($298 from Harvey Norman). Most dads don’t need more stuff, but they love the thrill of trying new experiences. 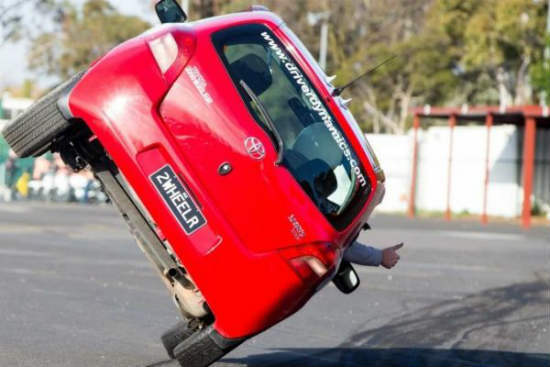 Get them the Stunt Driving Wild Ride Passenger Experience ($100 from Red Balloon) for the ride of their life. An alternative “experience” gift that could suit is the Escape Room ($125 for 4 people from Mission Real Life Room Escape Sydney), which has started becoming popular in Australia’s capital cities this year. Note that the rooms are usually only suitable for the whole family if your kids are aged 10 years or older. For the coffee-loving dad, it’s hard to go past the Prescription Coffee Mug ($15 from Yellow Octopus), the Coffee How You Like It Mugs that tell everyone how dad likes his coffee ($10 from Yellow Octopus), or the World’s Most Caffeinated Human mug ($20 from Typo at Westfield). Dad can even wear his caffeine obsession, with the Caffeine Molecule T-Shirt ($25 from Yellow Octopus). 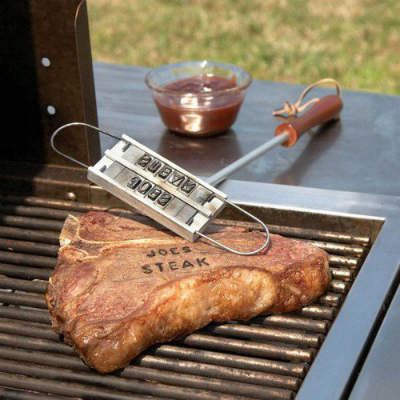 A Custom BBQ Branding Iron lets dad tell the whole world who cooked their beef ($25 from Yellow Octopus). Gifts for a dad with young kids include the Road Massage T-Shirt, where kids can play with their toy cars while simultaneously giving Dad a mini-massage ($25 from Bright Star Kids). The Darth Vader And Son by Jeffrey Brown is a hilarious and adorable picture book for dad to enjoy with his young kids ($25 from Dymocks). And dads with newborns will probably just thank you for a simple pack of ear plugs ($1 from Terry White Chemists). For the cycling dad, look out for the Miles Are My Meditation T-Shirt ($40 from HardToFind.) or the book A Million Miles In A Thousand Years by Donald Miller ($20 from Koorong). Punching bag – you can make a DIY punching bag for dad using almost anything, from a duffel bag (see this tutorial from LiveStrong.com), PVC pipe covered in carpet (see this tutorial from WikiHow), or even old car tyres if you’re feeling strong (see YouTube for tutorials on this method). Don’t have the money to buy your coffee-loving dad one of the mugs we listed above? Make a DIY coffee cup holder (“coffee cozy”) with felt and a button (see this tutorial from Practically Functional). Dad needs a new T-shirt? 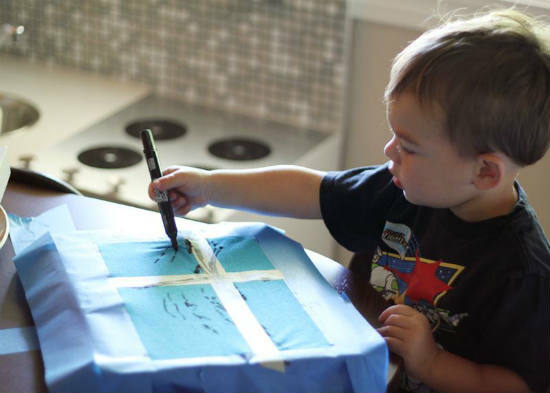 Forget about printing photobooks – just let your kids scribble on a T-shirt with Sharpie and you have an instant homemade gift. You can make it look more interesting by blocking off an area with masking tape so that the kids’ drawing is more stylised (see this tutorial from SmallFriendly.com). What about if Dad already has everything he need? Or when you asked him what he wanted, he said, “A cruise to Hawaii”? When he doesn’t need any more “stuff” to fill his home with, give him a gift that changes the lives of dads around the world. One great option is the Useful Gifts catalogue by TEAR Australia – all the gifts are designed to fight poverty by giving dads a way to support their families. Options include a vegetable garden ($10), small business start-up ($60), or the “build a village” kit ($60). You can also check out Compassion Australia. 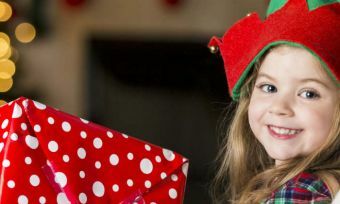 Their Christmas catalogue includes mosquito nets to protect families in other countries from malaria ($15), and kid goats to give the family milk for an income source ($45), great for the entrepreneurial dad who runs a small business. 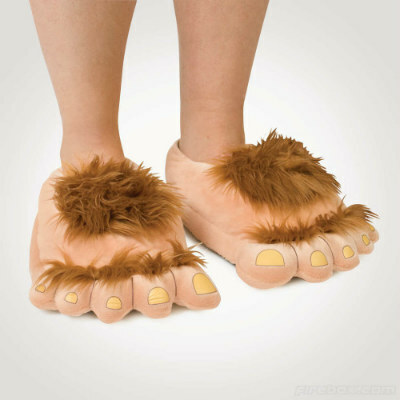 Finally, the Oxfam Unwrapped catalogue brings a humorous take to changing the world. 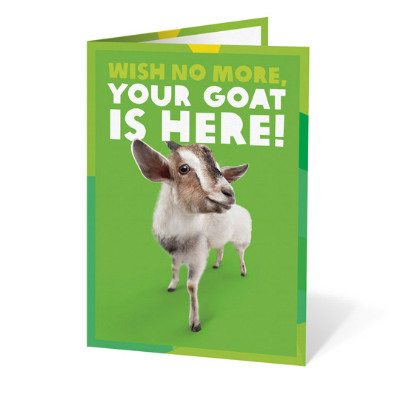 “Wish no more, your goat is here!” says one card. 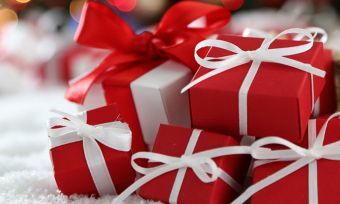 When you’re buying Christmas gifts for Dad, don’t rack up a credit card debt and spend the rest of the New Year regretting your Christmas debt hangover. Use your everyday transaction account so you know exactly what your budget is, how much is left in your account for your usual weekly expenses, and so that you don’t pay interest on your gift purchases. Don’t already have an outstanding value transaction account with your bank of choice?